Intel introduced design guidelines for their new Ultrabook laptop class in May with base specs including second-generation Intel Core processors, an overall thickness of less than 20mm (0.78 inches) and most importantly, a mainstream price point under $1,000. It was reported earlier this month that the company was pushing the platform heavily and even paying vendors to launch Ultrabooks, but now it seems that Intel may have missed the mark with their $1,000 price point guarantee. According to Slashgear, the idea of a sub-$1,000 Ultrabook was too good to be true. Launch partner Asus, who demoed their UX21 Ultrabook at Computex 2011, is said to have missed the price point that Intel has set in place. "According to one source at Asus, the only way for the company to get the price under $1,000 was to use the Core i3 processor and that Ultrabooks with the Core i5 and i7 will cost much more than $1,000. Apparently, the machines running the Core i5 and i7 along with SSDs will cost between $1,000 and $2,000 when they land." Furthermore, Notebookitalia claims that Acer's Ultrabook will also miss the target. There is no word yet if HP will honor Intel's pricing standard when they launch their Ultrabook later this year. Asus is scheduled to release the UX21 Ultrabook sometime in September. The verdict is still out for release dates on other Ultrabooks, but we can expect to see several in time for the 2011 holiday shopping season. 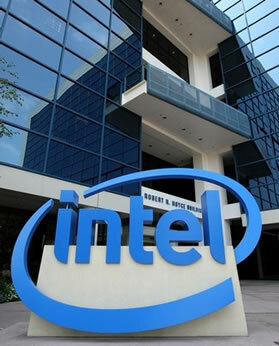 A second wave of Ultrabooks will hit the market in 2012 using Intel's Ivy Bridge processors while 2013 will bring with it a new Core processor design, codenamed Haswell. Intel claim that this chip will consume half as much power as today's systems, enabling thinner designs and longer battery life.